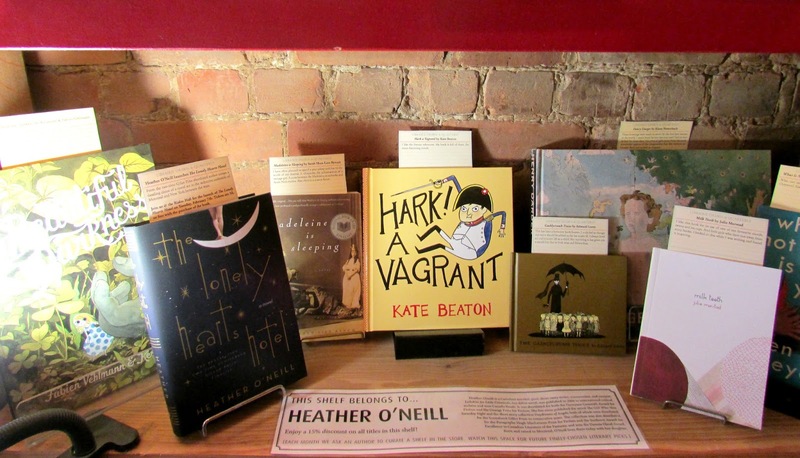 211 Bernard: This shelf belongs to...Heather O'Neill! This shelf belongs to...Heather O'Neill! Each month, Librairie Drawn & Quarterly invites a local author or artist to curate a shelf in the store. This February, we bring you recommendations from Heather O'Neill! Heather O’Neill is a Canadian novelist, poet, short-story writer, screenwriter, and essayist. Lullabies for Little Criminals, her debut novel, was published in 2006 to international critical acclaim and won Canada Reads. It was shortlisted for both the Governor General’s Award for Fiction and the Orange Prize for Fiction. 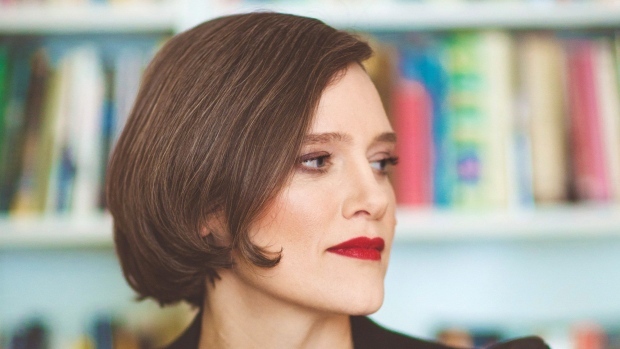 She has since published the novel The Girl Who Was Saturday Night and the short story collection Daydreams of Angels, both of which were shortlisted for the Scotiabank Giller Prize in consecutive years. The collection was also shortlisted for the Paragraphe Hugh MacLennan Prize for Fiction and the Sunburst Award for Excellence in Canadian Literature of the Fantastic and won the Danuta Gleed Award. Born and raised in Montreal, O’Neill lives there today with her daughter. I like this book for its use of two of my favourite motifs, swans and tea cups. And little girls who have run away from story books. I looked at this while I was writing and found it inspiring. This has been a favourite book forever. I truly feel as though my name should be added to the list under H. I always lived an unfortunate life as a child. But surviving it has given me a sensibility that is both wise and Edwardian. I have often planned to spend a year asleep and live in the world of my dreams. It chronicles the subconscious of a teenage girl. A cross between the Madeleine storybooks and Anaïs Nin’s erotica. Also there is a master farter. An androgynous child plays with black apples, in a landscape ravaged by war. And that is just one image. I like the literary references. My book is full of them, for more discerning minds. A feminist interpretation of the works of Marquis de Sade. So brilliant. Controversial too, of course. But made me understand my attraction to all things perverted. Because they speak to being free. Oh you know, it’s Jean Rhys. The most melancholic of chorus girls. Her tragic taste in men lead her to the most beautiful hotel rooms in Paris in London. Big inspiration for Lonely Hearts Hotel. A tiny masterpiece. All my characters who have black hair are a nod to these two twins. They live in a world of darkness and vicious rapists, but they question and provoke morality like all great artists. These drawings were made in secret by the loneliest janitor in the world. I read a letter by him last year and I had to stay in bed for three days. His army of girls come from the most wonderful regions of the imagination that few venture to. Gender fluid and as bold as dragons. I’m obsessed with this book. I stole it from my daughter. It has made me more twisted. I don’t know if that is a good thing, as it is the general consensus that I am twisted enough. When I think I have gone too far, I think of these books, and think, well at least I am not alone. It has inspired me in strange ways. Who can take a plot, fold it into an origami bird like Oyeyemi? Also there are puppets; I have been obsessed with.